Fuel prices will remain fairly stable in the first pricing window in May. This is a prediction by the Institute for Energy Security (IES). 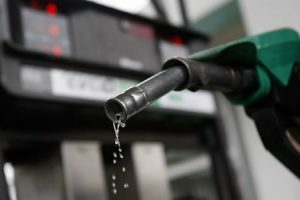 According to the institute, the slight fall of Brent crude price, stability of the fuel stock levels among other factors will ensure the stability of fuel prices. The IES further hints that the stabilization is as a result of stiff competition for market share among the various Oil Marketing Companies (OMCs) which will cause prices at the pumps to see a further dip if the prevailing competition continues. “When you look at the indicators for determining prices of fuel, you look at oil, you also look at the exchange rate that is the cedi-dollar rate, then you look at the finished products on the world markets. The prices of both gasoline and oil fairly did not change. It ranged between 0.59% about 1% for both products,” the Principal Research Analyst at IES, Richmond Rockson told Citi Business News. Richmond Rockson further advised the OMCs to endeavor to reduce prices further when they deem appropriate.